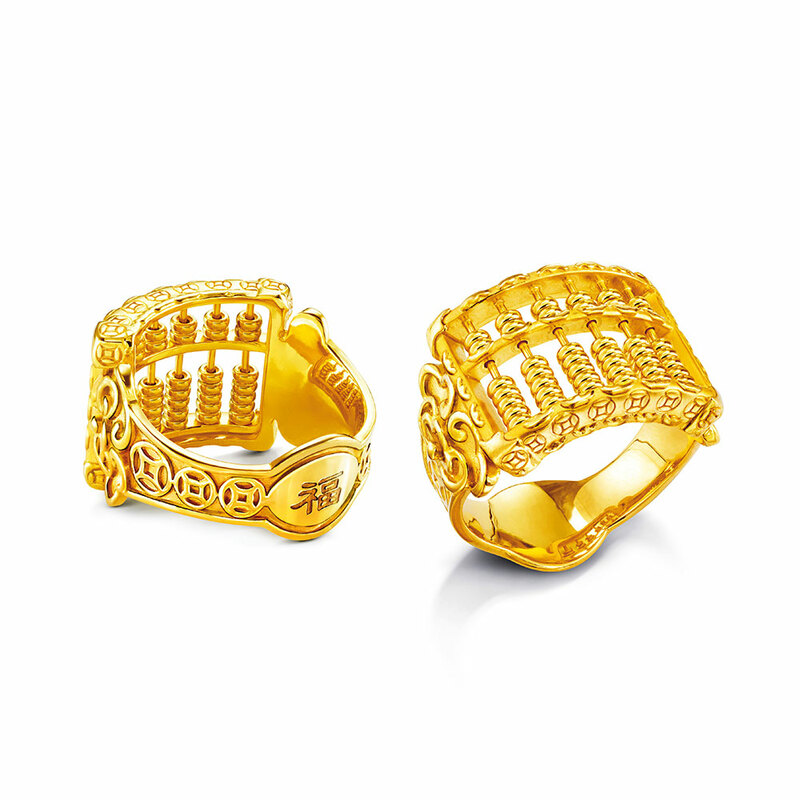 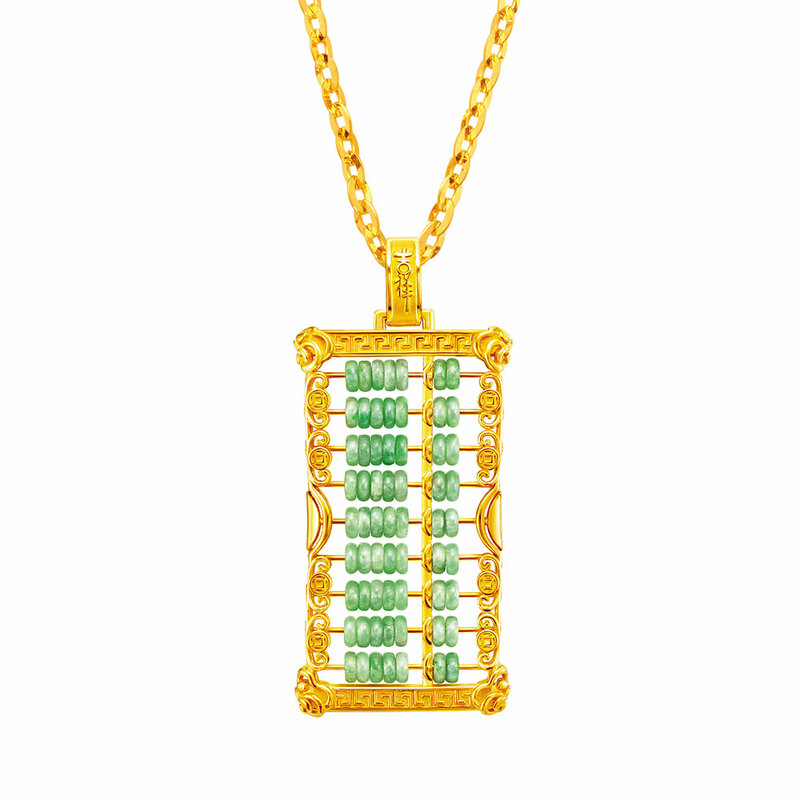 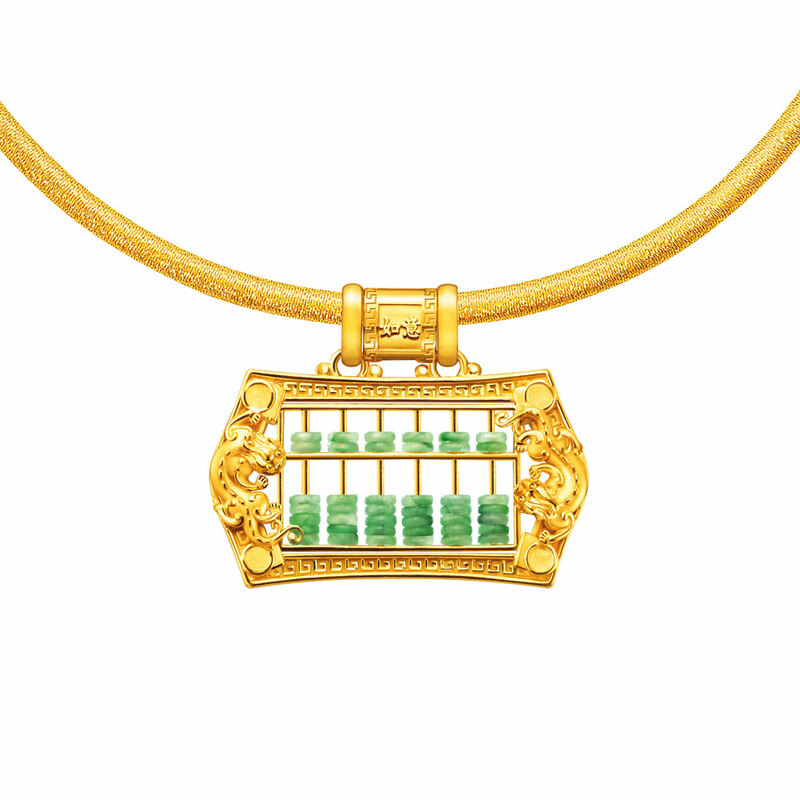 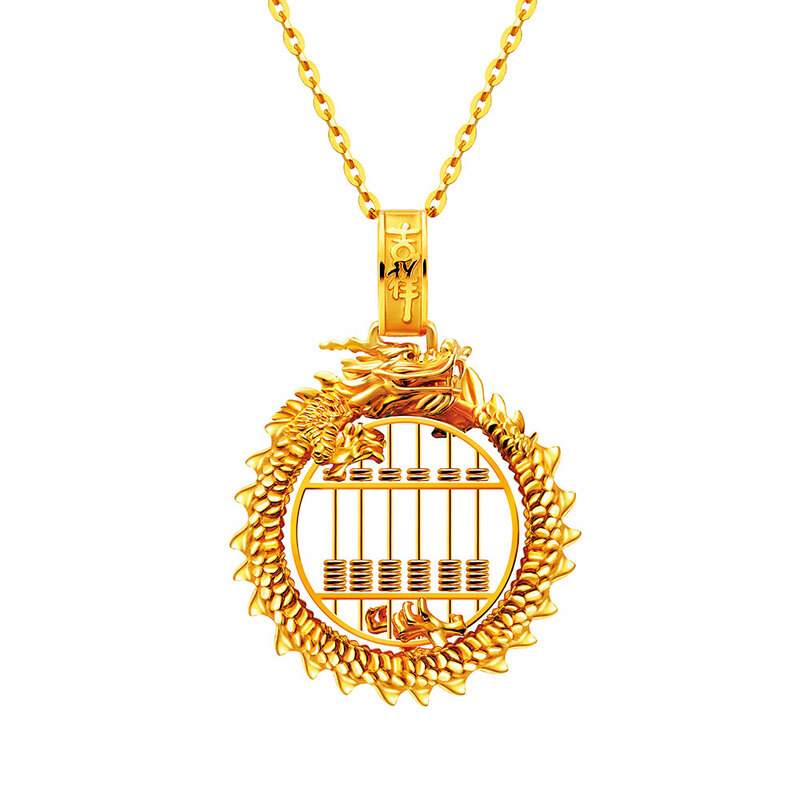 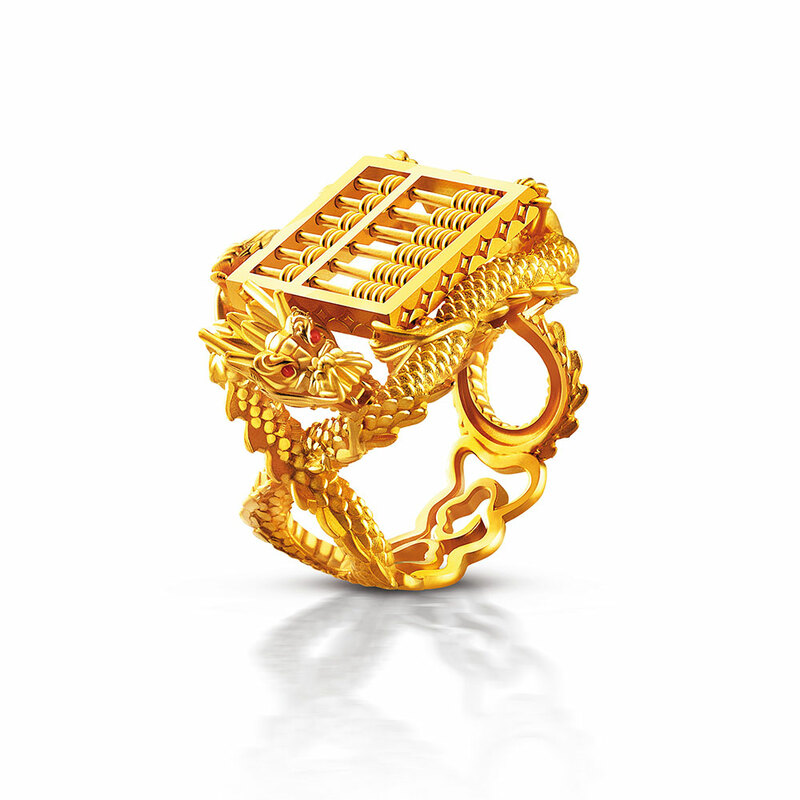 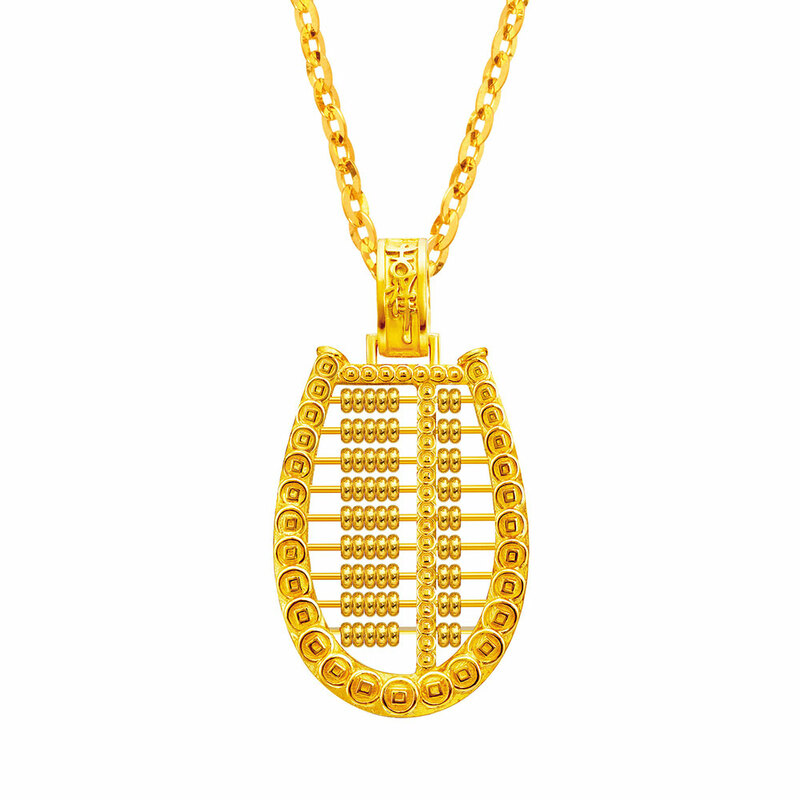 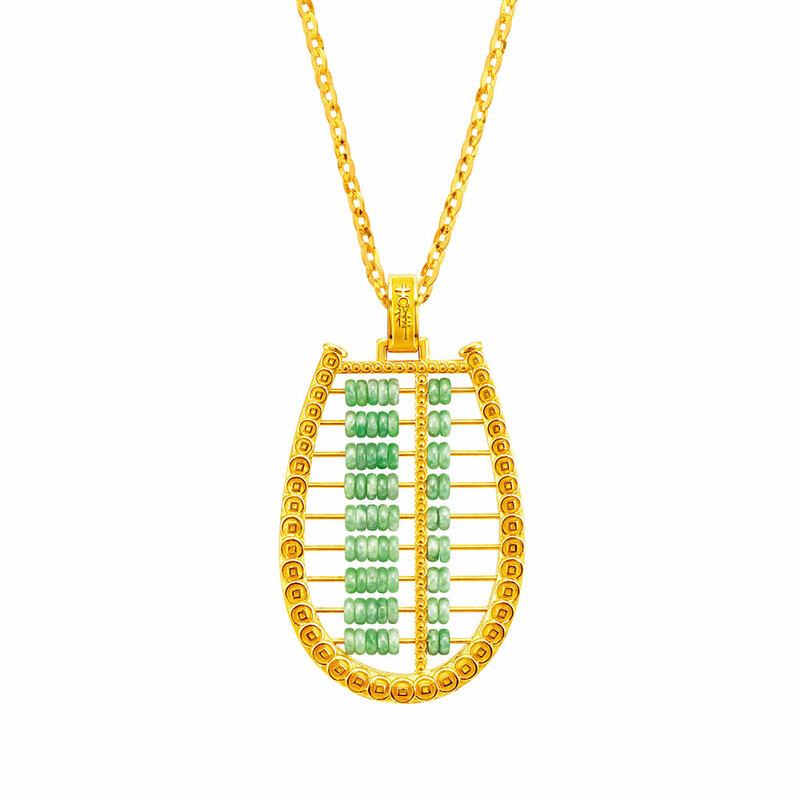 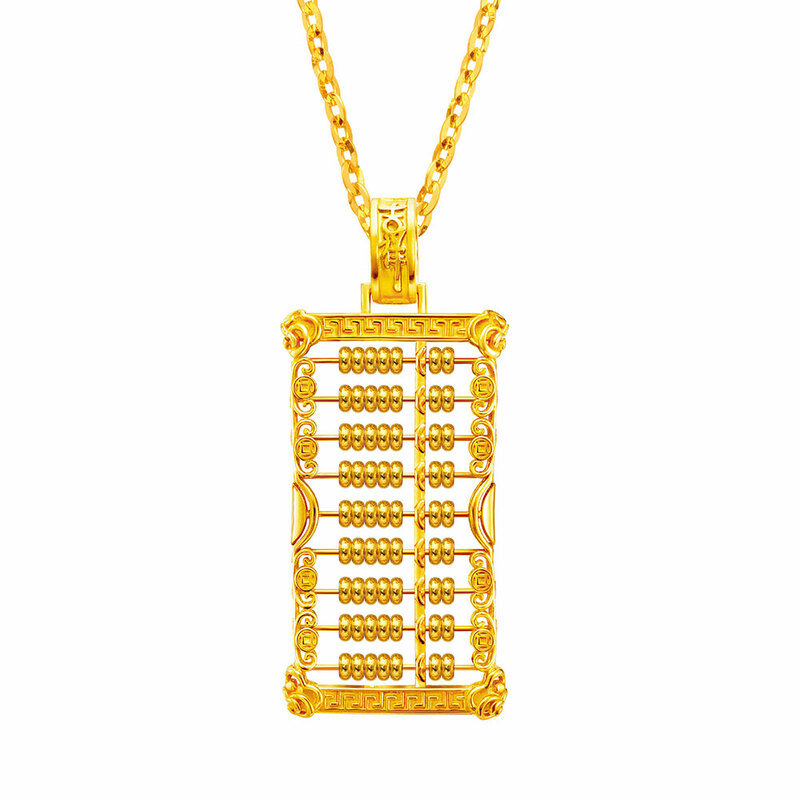 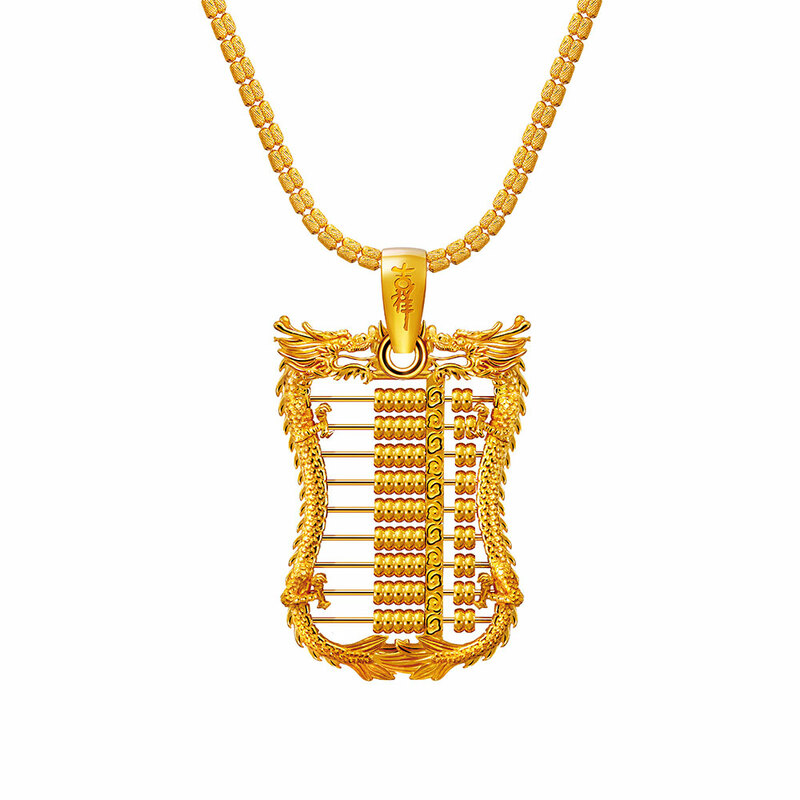 The Ruyi Abacus combines an abacus design with inscribed motifs of the Ruyi, and is available as a Jade & Gold pendant or Gold pendant and ring set. 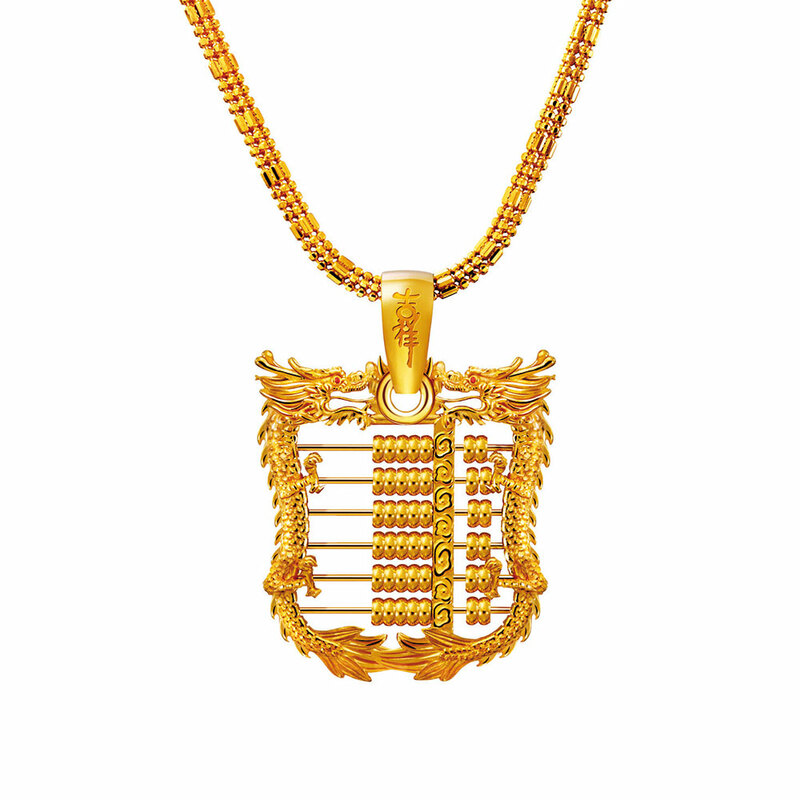 The Ruyi is a traditional auspicious ornament that adorned study tables, thrones, and royal chambers to encourage prosperity and harmony. 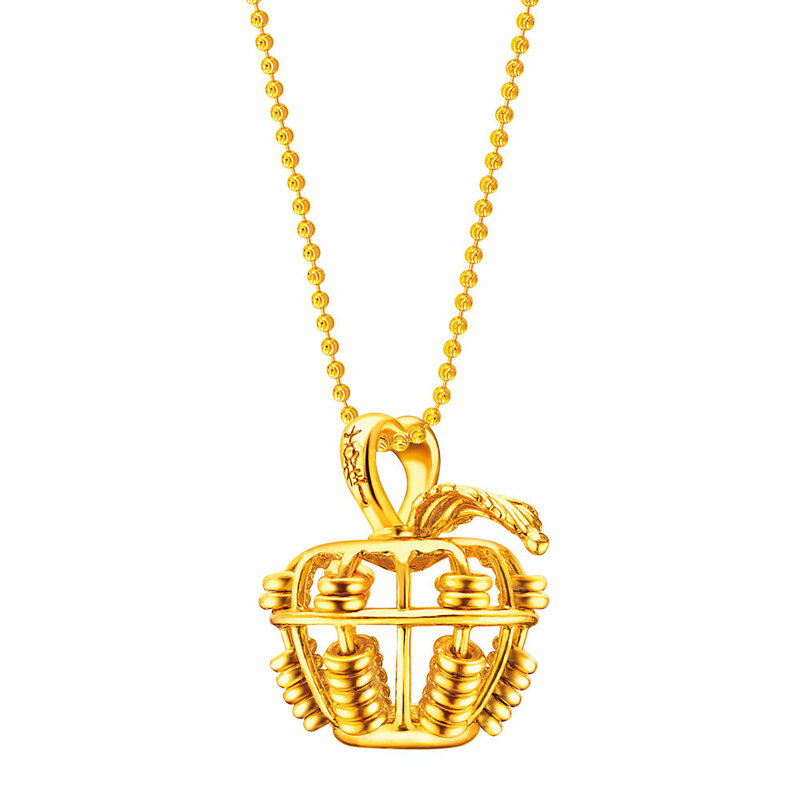 It is believed to be transformed from the royal sceptre, the supreme symbol of power and authority.